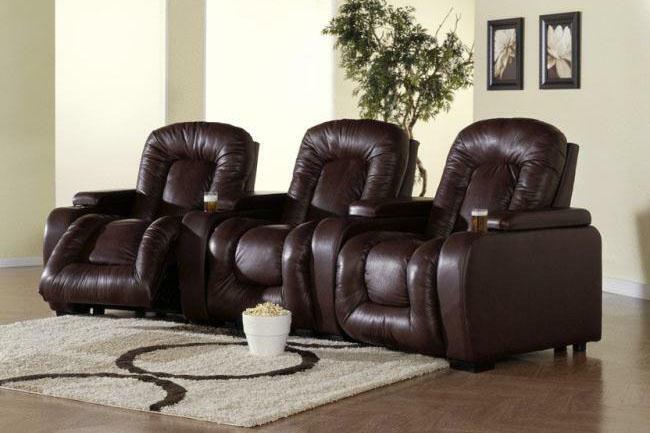 4Seating.com is proud to present the Palliser line of home theater seats, which is rapidly becoming among the most respected and popular of our brands. Palliser, based in Canada, is a company which places an unusual emphasis on worker support and environmental friendliness like no other. These twin goals reveal their dedication to bringing you the finest in comfort, without sacrificing honest and progressive business ideals. Palliser was founded in 1944 by Abram Albert DeFehr, who began crafting wooden pieces out of his basement in Winnipeg. He eventually moved from his basement to a former chicken barn, establishing the first Palliser plant. Today, Palliser has expanded to plants in both Canada and Mexico, ensuring that all products are designed and built right here in North America. No pieces are imported from overseas. In addition, their line of home theater chairs is considered among the finest available. The Palliser code includes Integrity, Dignity, Excellence, Environmental Respect, and Community Support. It is the last two of these we will be focusing on, as they provide an insight into what makes Palliser so unique among furniture manufacturers. The first of these two, environmental respect, is outlined in an Environmental Stewardship Plan that emphasizes the reduction of waste, wastewater, and emissions. This isn’t just talk—Palliser’s environmental management system is designed to meet the most rigorous environmental standards possible. Any time a greener, more sustainable method or material for manufacture is tested and approved, Palliser upgrades their facilities to incorporate it. Recycling, pollution prevention and green procurement initiatives are regularly employed to ensure that their plants leave the smallest carbon imprint possible, and greatly reduce toxic waste byproducts which can harm the community. The community is of prime importance to Palliser. Besides working toward the environmental security of the outer community, Palliser builds a community of its own through its workforce. Palliser is thoroughly committed to hiring a diverse workforce with no barriers placed on gender, race, or religion. In addition, the company provides an unprecedented level of opportunity for its employees to improve their lives. Since 1994, Palliser has offered ESL language and literacy classes to anyone who needs it. This practice eventually evolved into a series of classes by which employees can be trained in computer skills, retirement planning and leadership. 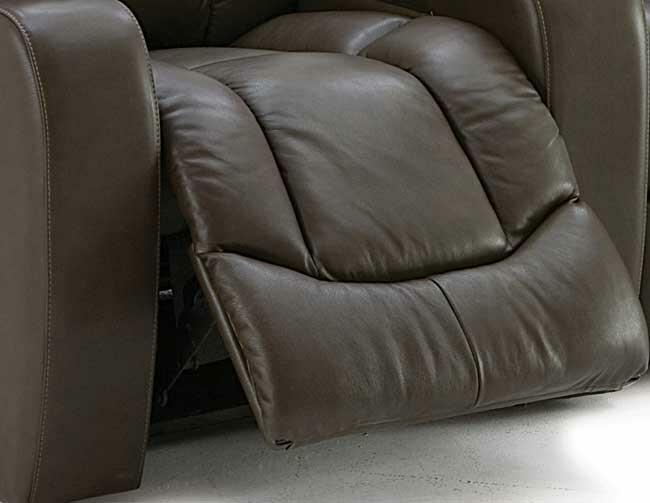 This not only improves lives, but ensures that all Palliser furniture is made by a highly trained, intelligent workforce committed to premium quality. The focus on environment and community are only two of the many fine attributes which distinguish Palliser from its competitors. When you purchase a home theater seat, it’s good to know that the company who made it is supremely dedicated to a series of high ideals. High ideals always translate into the highest possible value. Look forward to further blog entries, where we will discuss the many other qualities which make Palliser such a trusted and valuable addition to our line.